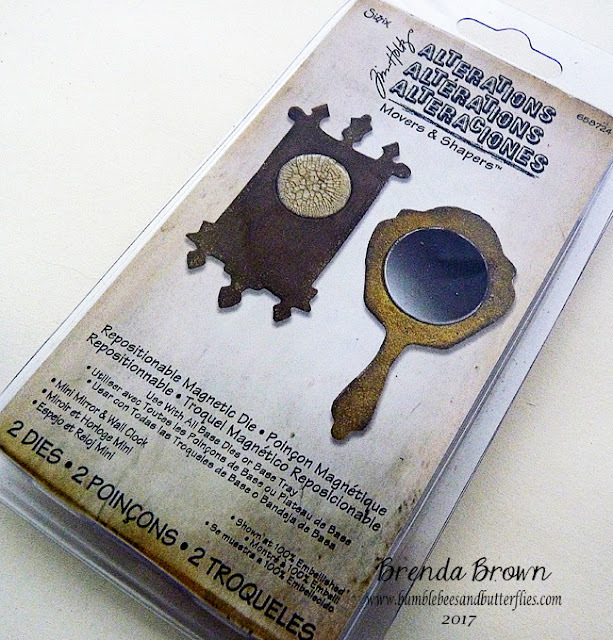 Here's a little treat for today, another double up in my dies collection so I thought I'd give away this little Tim Holtz movers and shapers pack. As you can see these are the mini mirror and wall clock repositionable dies (brand new and unused), so if you don't have them and would like to add them to your collection, leave your name below by the 31st January and I will do a draw using Random Org to see who the winner will be. What a nice surprise this cold January morning...thanks Brenda! I dont't believe I've ever seen the clock before. Thanks for a chance to win! How lovely of you Brenda ! Would love to win ! Those are just too cute. Would love to have them. Thanks. Brenda, you are one of the most generous bloggers I know! Nope, don't have these! Would make a supercalefragelistic birthday present! Fingers and eyes crossed! Hugs to you and Mr. Random! Would love to add these to my collection! Thank you for the chance to win. Would love to win this great prize! Thanks for the chance. so easy to use on a card. Hope I can be part of this celebration Brenda. Such a lovely thought and gesture from you. Wishing you a very happy new year. Hugs from Bangalore. Such a nice idea! Thanks for the chance to win. Thanks for the chance to win, Sandra. Awww....cute set and so nice of you to do a lil' giveaway in January!. Love the blog and enjoy your posts.... toss my name in and have a wonderful Tuesday. :) TFS! Wonderful dies. Thanks for the chance to win. Just wonderful dies!! Thank you for the opportunity!!! Love your works, it's very inspiring, Ulla-Britt.